About 253,000 residents live in the city of St. Petersburg, which is found in Pinellas County, Florida. The city is a very popular place for visitors and hosts the Tampa Bay Rays Major League Baseball team every season. St. Petersburg is a part of the larger Tama Metro area with just under 3 million residents. This is the second largest metro area in Florida and one of the hottest destinations for tourists. The beaches, attractions and events bring visitors from all over the state, country and world. US 19 is one of the main roads found in St. Petersburg and it's used by more than 100,000 vehicles per day. The area is also served by Interstate 275 and the metro area is served by Interstate 75. The Florida stretch of I-75 is known as the 15th most dangerous highway in the country. The Metro area is one of the worst when it comes to pedestrian dangers and it's rated as the 2nd deadliest for pedestrians. Mixing so many visitors with regular residents packs the roads and makes them very dangerous. Law enforcement officials have to enforce the traffic laws or the traffic accident stats would be far worse in the area. During 2015, about 64,000 traffic tickets were issued by law enforcement throughout Pinellas County. More than 18,000 drivers were caught speeding with over 12,500 caught driving carelessly. These two offenses are the most likely to lead to a traffic accident and these numbers don't include those getting warnings or not getting caught at all. Only 6% of the traffic tickets issued in the area were actually dismissed by a judge. You don't have much of a chance of getting out of your ticket. A suspended driver's license is usually the result of receiving far too many traffic tickets in a short amount of time. Usually, it takes 3 or 4 tickets in a one-year period, but with the right tickets, it could happen in just two. In addition, it's possible to receive multiple infractions from one incident. If you get 12 points over a one-year period, you will lose your license for 30 days. Those drivers pushing their luck and getting 18 points in 18 months will have that suspension tripled and those getting 24 points in 36 months will lose their license for an entire year. After your license is suspended, you don't want to take any chances with driving. If you get caught driving, you may face another $500 in fines and 90 days in jail. Traffic school offers a class called basic driver improvement, which will help you keep points from a traffic ticket off your license. This course will also help to keep your insurance rates from skyrocketing after a traffic ticket. All you need to do is pay the fine associated with the ticket and let the clerk of the court know you will be enrolling in traffic school. Then, enroll right online and take the course from the comfort of your home. You don't even need to go to a classroom or waste a Saturday morning taking the class. Once you complete the course, you will get a certificate of completion. Turn this into the clerk of the court and you're all set. This is all it takes to protect your license and keep your insurance rates from going up due to a traffic ticket. 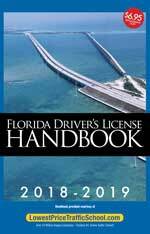 You get five opportunities to use the basic driver improvement course in Florida to avoid points on your license. However, you can only take the course once every 12 months. If you haven't used up all five opportunities and you haven't taken the course in the past 12 months, you're eligible. All traffic tickets issued in St. Petersburg are handled by the Pinellas County Clerk of the Court. 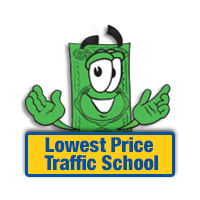 The clerk will take your payment and will take your certificate of completion for traffic school. If you need any information about the Pinellas County Clerk of the Court, you can find it on the website.